(MoneyWatch) The money you get when coming into sudden wealth, whether through a lawsuit settlement, business sale, entertainment or sports contract, or stock options, can disappear in a hurry if you don't the manage federal and state income taxes correctly. For example, let's consider a $20 million lawsuit settlement. After 40 percent is paid to the attorney and up to 54 percent is paid in federal and state taxes, you may be left with closer to $5 million. While still a windfall, you may be able to keep more of the money using the following methods. 1. Create a pension. Don't be discouraged by the paltry IRA or 401(k) contribution limits. A defined-benefit pension can allow you to shield a large sum of money from taxes. A married 45-year-old may be able to shelter up to $320,000, while a married 55-year old may be able to protect up to $530,000. This technique works best when you can contribute funds over multiple years, so splitting your windfall over the course of two years is ideal. This will allow you to contribute the maximum to the pension this year and next. Using a pension to minimize taxes only works if the windfall is earned income (sorry lottery winners). 2. Create a captive insurance company. This is an advanced strategy that requires having the right tax and legal team, but the rewards can be worth the cost. 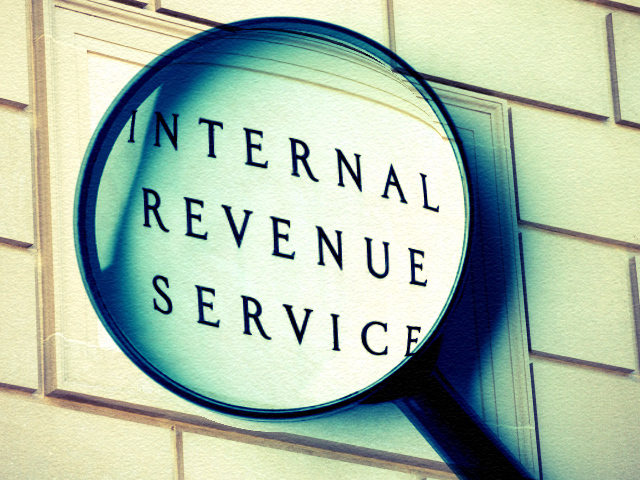 The IRS allows you to deduct up to $1.2 million if done correctly. "A captive insurance company is an attractive structure that can provide a terrific result in terms of risk management, estate and gift tax planning, asset protection planning and income tax planning," said Los Angeles tax attorney Bruce Givner. 3. Use a charitable limited liability company. By using a charitable limited liability company, you may get a deduction of approximately 85 percent of what you contribute. Of course, this only works if you have an interest in giving and have a favorite charity you would like to support. Said Givner, "This is a strategy where the client ends up with an LLC that is full of money that can be used for investment -- including loans for business opportunities -- and the charity receives a steady stream of revenue for its membership interest." 4. Use a charitable lead annuity trust. Structured properly, a so-called CLAT can create a large income tax deduction. These trusts have been around since the 1970s and are popular among the mega-rich. Users contribute money ti a trust and determine a certain amount that will be withdrawn and sent to a charity. The remaining assets come back to you after a certain time period -- the longer the time period, the larger the deduction. For example, a 20-year term may provide you with nearly a 90 percent deduction, while a 10-year term will provide a 47 percent deduction. This is a strategy Givner recommends because "The client gets a large upfront deduction, and then at the end of 10 or 20 years gets all of the assets back, probably at a time when the client will appreciate them even more." 5. Take advantage of tax benefits to farmers. The federal and state governments provide all kinds of tax breaks for real estate investments involving agriculture, whether in avocados, grapes, pistachios or honeybees. Among the celebrities who have capitalized on these tax benefits provided by Congress to farmers are Jon Bon Jovi, Bruce Springsteen and Ted Turner. 6. Buy commercial property. Depreciation is a double-edged sword. When you drive a new car off the lot and you instantly lose 20 percent of its value, depreciation is not your friend. But depreciation can work for you, too. Here's how: Buy a commercial or industrial building and use component depreciation, also called cost-segregation accounting. "Depending upon the building, you may be able to depreciate up to 40 percent of the value of the building within the first five years," Givner said. A windfall is worth only as much as you get to keep. While you won't be able to avoid all income tax on your sudden wealth, the strategies above and other methods can minimize your tax exposure. Get the right tax, legal and financial team together to analyze your options before Uncle Sam comes calling.